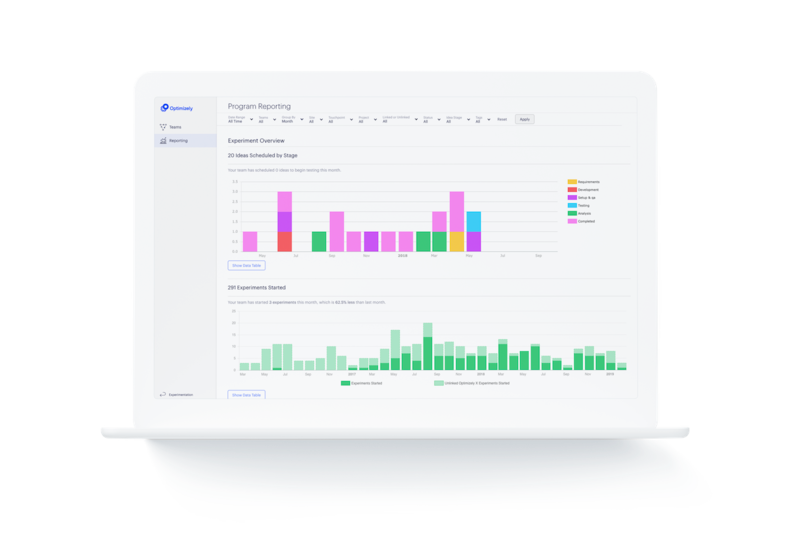 Optimizely Program Management helps your team increase experiment velocity by up to 5X with new tools for ideation, collaboration, and program reporting. Today’s industry-leading companies experiment across every customer touchpoint. 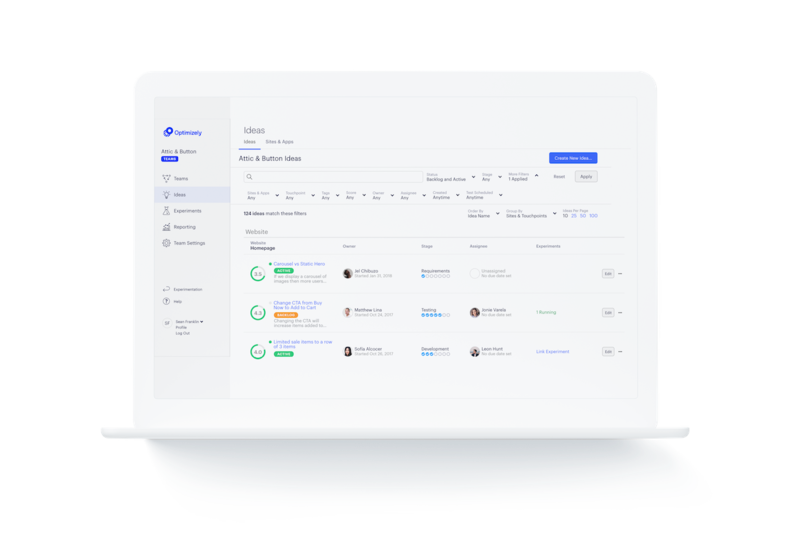 With Optimizely Program Management, you can scale experimentation across your entire organisation and increase the velocity of your program by up to 5X through improved collaboration and knowledge sharing. Teams enable different groups across your company to collaborate more effectively with an integrated hub for capturing ideas, prioritising projects, and managing experiments. Understand how your experimentation program is performing across all your teams and touchpoints with a new executive dashboard. With Program Reporting, you can track velocity and win rates over time, uncover new insights, and improve governance and oversight across your organisation. See how Optimizely Program Management can help you you manage your program across the entire expertimentation lifecycle. Attend our on-demand webinar to see Program Management in action and to learn how the BBC uses these tools to scale their experimentation program.